Altadena resident Ellen Walton will talk about the Arroyo Food Co-op, what kind of resources are needed to convert to drought-tolerant vegetation, and organic food and grocery options in Altadena. 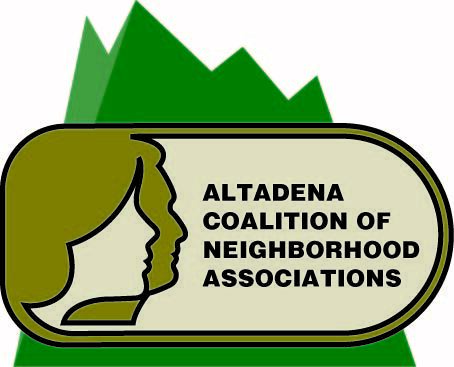 Mark Goldschmidt, president of Altadena Heritage and a member of the town council's community standards committee, will update on that committee's work, the Altadena Visioning Study, and lessons from the "heritage" of Aladena that can be used today. Lt. Eric Lasko will give a report from the Altadena Sheriff Station. ACONA meets from 7-8:30 PM on May 28 at the Altadena Main Library, 600 E. Mariposa St.